Public transport in Mauritius is limited to the buses (and minivans). There are no trains (any more), no metro or trams. Distances are short though. Cities and villages are almost always reachable by this transport system. 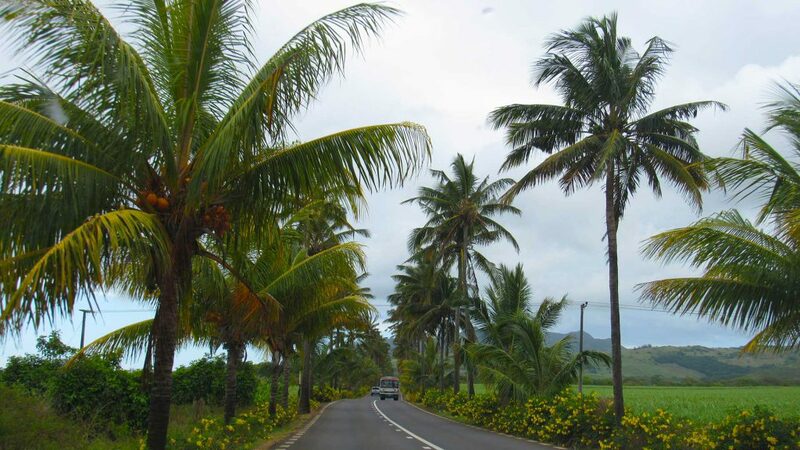 Busrides are very populair under Mauritians. Prices are affordable and there is quite allright schedule. The quality of the buses can be better though.. Many bus lines run to Port Louis. Others run from city to city. Simply said, this means that if you want to go to Port Louis, you can easily take the bus. For other destinations, it is possible you have to change bus multiple times to reach your destination. Still this does not mean your journey takes hours. Between the urban part of Mauritius (Port Louis, Beau-Bassin-Rose-Hill, Quatre Bornes, Vacaos-Phoenix and Curepipe) there are a lot of buses. The buses drive on a schedule, which not is that accurate, so just wait.. and at one moment the bus will show up (maybe). Outside the urban part of Mauritius buses are a lot less common to come by. Visiting the the southern and eastern part of Mauritius can take up a lot more time even when distances are short. The same goes for roads through the mountains. To reach a waterfall or another attraction that is in the nature, it is advisable to rent a car. There are buses to and from the airport. 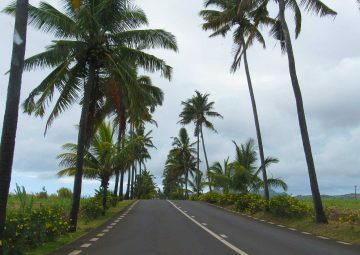 Direct routes are Mahebourg, Riviere des Gallets, Curepipe and Port Louis. These buses run very frequent. The first bus leaves early in the morning. You can catch the last bus early in the evening. 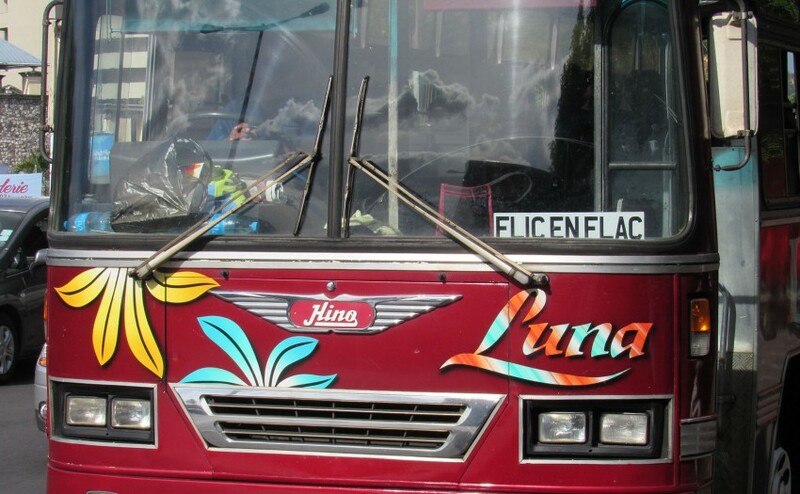 Taking the bus on Mauritius can be an experience. Sometimes there are people singing and playing drums ..One of the reasons to love Mauritius. The quality of the bus is not always that good. Looking at some of the buses, it makes you wonder if there is any maintenance. Some buses are rotten, some even carry small four-legged passengers (rats..!). Not to mention the black cloud of smoke coming out of the exhaust. Driving through the cities many people take the bus. Therefore, there’s not always a seat available, so be prepared to have to stand for some minutes. Most rides don’t cost more than 10 or 20 rupees. The maximum price you can pay in a bus is 34 rupees. You on’t have to pay with the driver. When you sit down someone will come to you. You receive a ticket when you pay. This is your prove. 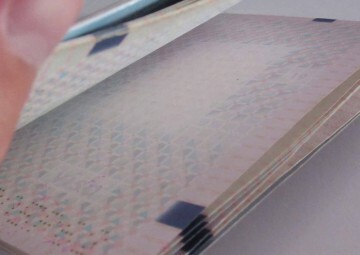 A checker may enter the bus. Therefore, you should save your ticket. Minivans often drive the same routes as buses do and stick to a selve-made schedule so that their returning passengers can rely on them. Prices are about the same. They can carry abour 10 passengers. The difference is that you can get out where you want. The minivan don’t have any clear sign to them. You just have to be able to recognize them by time.